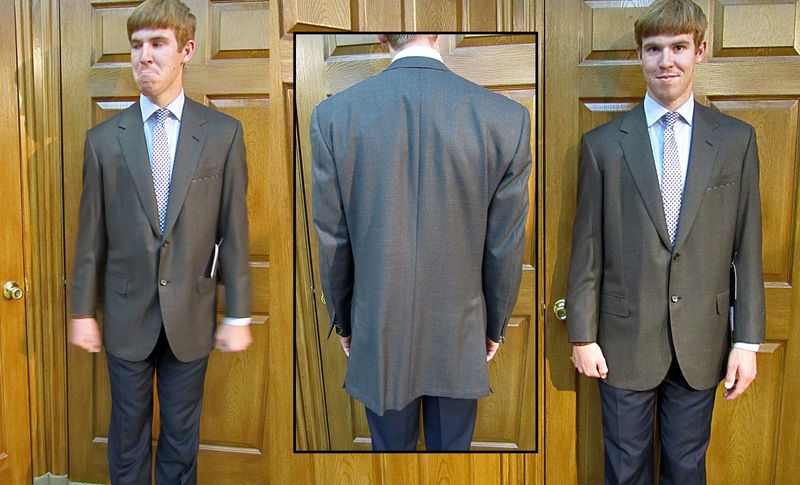 A man's jacket may be one of the single most important things he can wear. A simple sport-coat and jeans will set him apart at dinner. 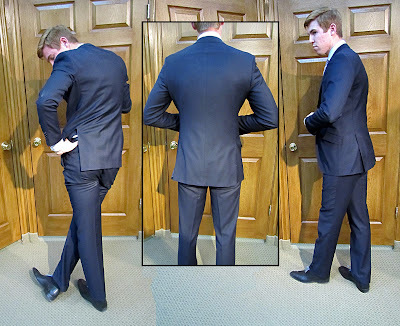 Here are some simple do's and dont's of jacket fits. 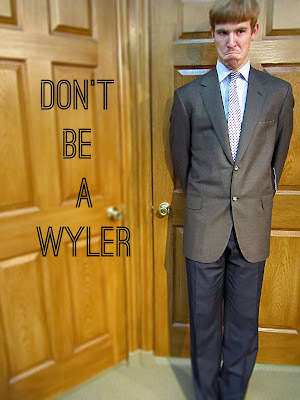 and Tyler's good friend Wyler. 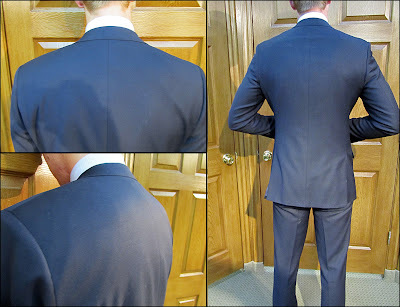 Notice how across Tyler's back and through the shoulders there are no ripples or ridges - it lays totally flat Now, you may see some gathering in the arm-holes (top-left), these are necessary. Without extra fabric in the arm holes, Tyler wouldn't be able to move. Contrast that with the fit of Wyler's jacket across the back. Across the shoulders wrinkle and through his back it fits very poorly. Compared to Tyler he's in trouble. You can see how Tyler's jacket conforms to the shape of his chest and waist. With a fit like this, Tyler looks like he's in great shape. It accentuates all the right areas of his upper body. 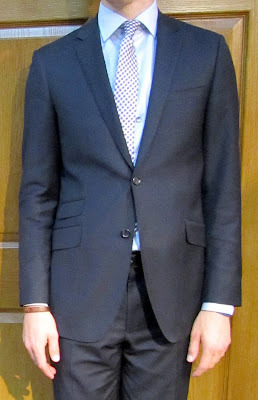 The sleeve length is also great, showing a little bit of his shirt cuff to lengthen his arms. Never, never, never button both buttons. You can see what it's doing to the shape in the front. 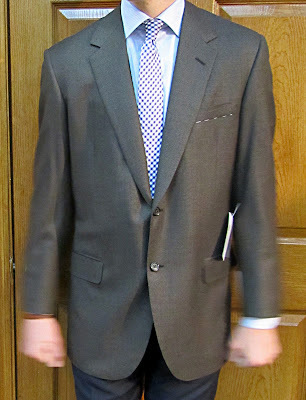 It causes unnecessary gathering and won't let your jacket taper through your waist. 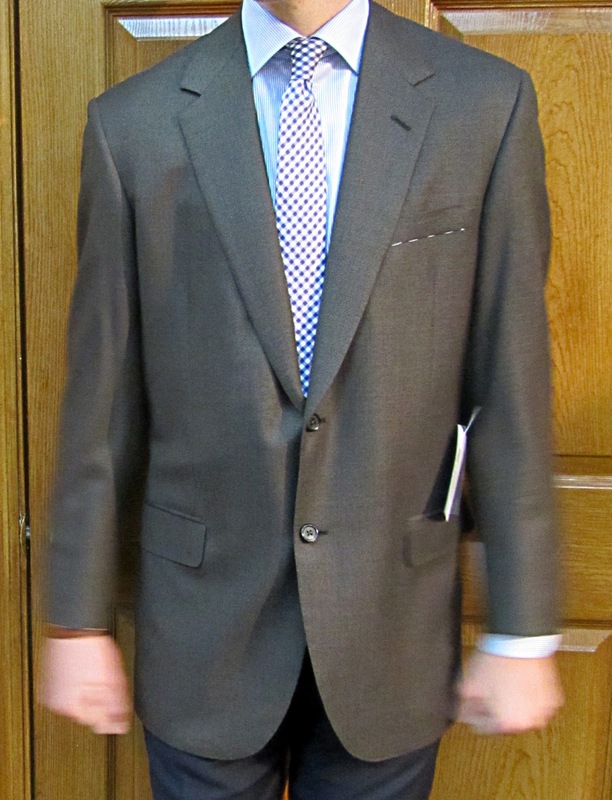 2 button: Either the top button or neither. Never the bottom. 3 button: Either the middle button or the top 2. Never the bottom. Just pretend like the bottom-button doesn't exist. 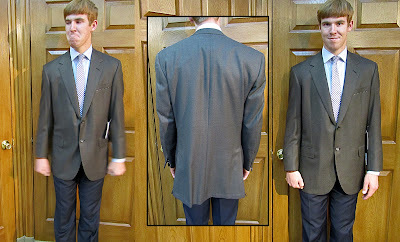 These are some tips that can help make your jacket look how it was intended to look. A huge asset in having a suit that fits and looks correctly is the use of a tailor. Next time, we'll talk about our tailor, how crucial he is to our business and how he can help you look your best and avoid looking like Wyler!